A longtime faculty member at the School of the Museum of Fine Arts, Boston, Bergstein continues the legacy of painting in Boston. His mentor at the Museum School was the painter Henry Schwartz, a student of Karl Zerbe, who along with Jack Levine and Hyman Bloom, defined post-war contemporary art in Boston. 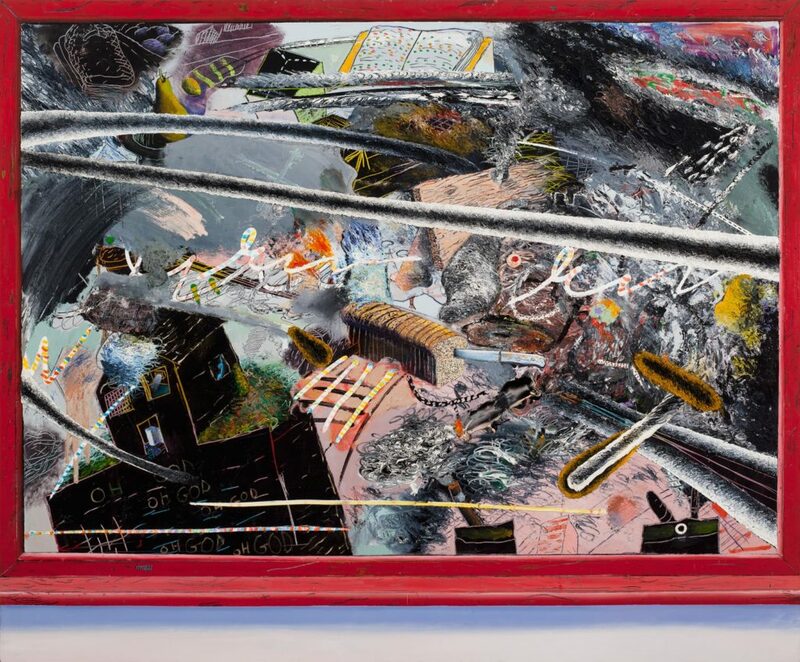 At the time he created this piece, Bergstein was teaching at the Concord Academy, and in one of the classrooms there was a red-framed chalkboard that he was particularly drawn to. He employed this as his “frame” to visualize the concept of “demonstrating the indemonstrable”—commenting on the complexity involved in teaching a variety of artistic concepts to high school students.